Savant’s Li-LAC cloud-based human breast milk bank system manages all aspects of human milk donation, testing, production, tracking and distribution. SSC is a secure, cloud-based stock management system for clinical labs - offering: stock delivery, issue, discard, tracking & reporting - all from one hand-held device. Pulse is the core software system that powers the whole donation-to-recipient life-cycle for blood, tissue and ocular transfusion services. Mataco is a cloud-based business continuity system that provides full support for the Business Continuity Management (BCM) and incident management processes. In this current period of unknowns (regarding what is colloquially known as "Brexit"), Savant, like others, are watching the situation carefully to determine the potential outcomes and to put in place any practical contingency. We will continue to do so and at the same time act accordingly after assessment of the potential outcomes. We are also working closely with all suppliers and subcontractors in order to identify and minimise the impact of Brexit on the services they provide which may affect our customers. Savant's aim is to ensure that the unrivalled service to our customers continues, whatever may occur. We will continue to move forward with business as usual and continue to grow and strengthen relationships with all our customers whether in the UK, within Europe or worldwide. Need help to develop and support software and database systems? Need a software system where downtime is not allowed? Want software support and IT helpdesk services? Need to thoroughly test and verify your software? Need to modernise and improve your mobile software system? Need to mobilise your staff & equip them with hand-helds? Need support expertise for your OpenVMS system? Want to migrate your openVMS system from Alpha to Integrity? When it comes to selecting a software services provider, you’ll want a company you can trust. Savant offer over 30 years experience of designing and supporting business & life critical software and hardware systems. From our base in North West England, we support organisations throughout the UK – from the NHS & local government, to SMEs and large corporations. 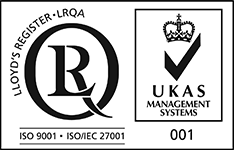 Our credentials are rock-solid and include: over 20 years of continuous ISO 9001 accreditation; full ISO 27001 certification; open-book accounting; and masses of testimony from satisfied customers. Savant’s Li-LAC human milk bank system manages all aspects of human milk donation, testing, production and distribution. The Li-LAC service is cloud-based, with access through any web browser - with the only infrastructure required on site being PCs, label printers and scanners. Li-LAC can be bought as Software as a Service - with no upfront costs and only ongoing subscriptions payable. If you prefer, Li-LAC can be a local/internal installation - run on your own servers. Savant's LabelCyte barcode labelling software enables the creation of unique, sequential, JACIE compliant donation identification numbers (DINs) for labelling hospital, stem cell and tissue products. The free fully-featured demo download enables you to discover the power and flexibility of LabelCyte. LabelCyte works with Zebra & Brady label printers, and a wide range of barcode scanners. SSC is a secure, cloud-based stock management service for clinical laboratories, covering: ordering; deliveries; stock issue and movements; quarantine and discards; and stock reconciliation & reporting. SCC employs hand-held devices (e.g. a Zebra TC56) which manages your data input/output via a dedicated web service. Mataco is a cloud-based business continuity software system that provides full support for the Business Continuity Management (BCM) and incident management processes. Mataco offers a flexible database repository in which to record and maintain all the business information, documentation and tasks required for an effective, robust, and complete implementation of business continuity planning. Savant is listed on the Digital Marketplace under the 'Digital Outcomes and Specialists' category, and listed in two categories on the G-Cloud framework: 'Specialist Cloud Services' and 'Software as a Service' (SaaS). Savant's range of implementation, consultancy, migration and testing services have been recognised under the category of Specialist Cloud Services. Savant's Mataco Business Continuity software tool has been accepted on the framework under the SaaS category. Savant's cloud-based Li-LAC Human Milk Bank Management software service has also been accepted on the framework under the SaaS category. The G-Cloud frameworks support the Government’s policy to centrally manage the procurement of common goods and services through an integrated procurement function at the heart of government.